(AP) — The author of a highly critical book about Pope Francis, entitled “The Dictator Pope,” has been suspended by the Knights of Malta lay religious order. In a statement Thursday, the order said it disassociated itself from the book and condemned the “vile attack against the pope.” It said author and member Henry Sire was suspended pending the results of an investigation. Britain’s The Tablet first reported the suspension. Sire lived in the Knights’ grand palazzo in Rome during 2013-2017 while researching an official history of the order, entitled “The Knights of Malta: A Modern Resurrection,” which was published in 2016. “The Dictator Pope” was published electronically in November under the pen name Marcantonio Colonna. Recently, Sire’s true identity was published in conservative Catholic media. In an email to The Associated Press, Sire said he always intended for his true identity to emerge when print editions of the book were published. He disputed the order’s characterization that “The Dictator Pope” was an attack on Francis. “I need hardly point out that my object in the book was to defend the true sanctity of the papal office against an incumbent who, as many Catholics now see, falls notably short of the character that has been expected of a pope for centuries,” he wrote. “The Dictator Pope,” published electronically first in Italian and then in English, has been one of the most-talked about quiet rebellions during the Francis papacy, giving voice to much of the conservative and tradition-minded alarm over the populist pope. It paints a sometimes brutal portrait of the pope that even some of his supporters say bears some truth. “When the television cameras aren’t rolling, Pope Francis transforms into another person: arrogant, standoffish with people, vulgar in his language and famous for his violent outbursts of anger that are known to all, from cardinals to car drivers,” Sire wrote. The book traces key moments in Francis’ ecclesial career, from his troubled tenure in Argentina to his election as pope thanks to the “San Gallo Mafia” — a group of progressive cardinals who backed his election. 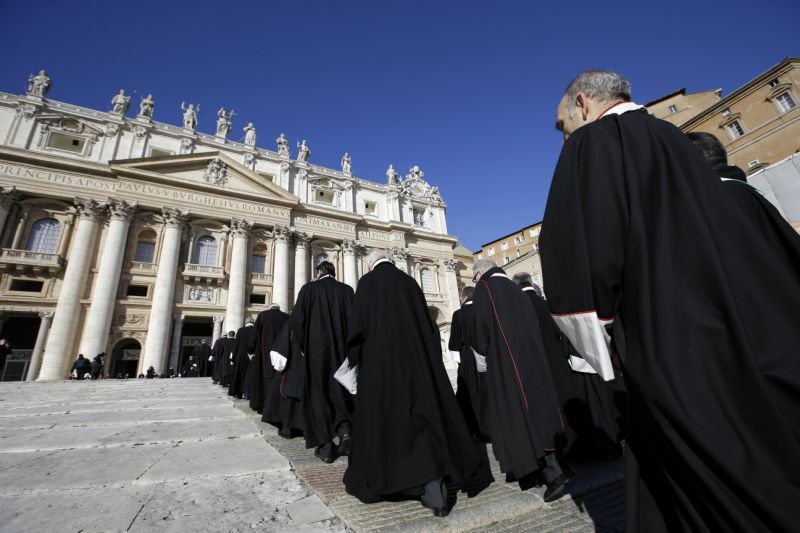 It lays out the questionable results of five years of “reform” in the Vatican bureaucracy, criticizes Francis’ opening to the divorced and civilly remarried Catholics and traces the tortured 2016-2017 government crisis in the Knights of Malta that Sire witnessed firsthand while living in the palazzo. The crisis, sparked by a condom distribution scandal, ended when Francis intervened to oust the Knights’ leader. The papal intervention was remarkable given the Knights are a sovereign order, with many of the trappings of a sovereign state. He added that he wrote “The Dictator Pope” after his work as a historian was “terminated” in 2017 thanks to Francis’ ouster of the Knights of Malta’s grand master, Fra’ Matthew Festing.